Did those groundbreaking thoughts in that Sarah Palin book get you thirsty for more tell-it-like-it-is knowledge? Do you want to work your noggin for once while cracking open a few brews tonight? 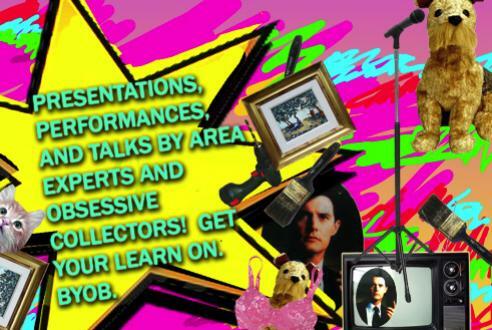 Consider stopping by Flux Factory this evening for Expert Oddities, in which an array of self-proclaimed know-it-alls will get up and give nine-minute, visually aided presentations on a bunch of random subjects, from how to get on a reality TV show to popular dances from the early 1900s to Kyle MacLachlan’s character in Twin Peaks. Best of all, it’s BYOB and unpretentious, despite all of the “experts.” (The former Alaskan governor, alas, will not be discussed—sorry to tease you with that first sentence.) 39-31 29th St between 39th and 40th Aves, Long Island City, Queens (fluxfactory.org). 7pm; suggested donation $5. A few words from our outgoing Executive Director.